Why paint furniture using latex paint? I have a list of 10 reasons why! Gone are the days where primer is always necessary. Yes, I paint furniture with latex paint and I love latex paint. Is it the only type of paint I use? No. This post probably won’t be a hit with the folks who sell specialty furniture paints. I used to retail specialty furniture paints…and more than one kind…but I’m getting out of that business. Furniture paints are on every street corner, in every antique mall, and can be found just about anywhere there is an empty spot on the shelf. 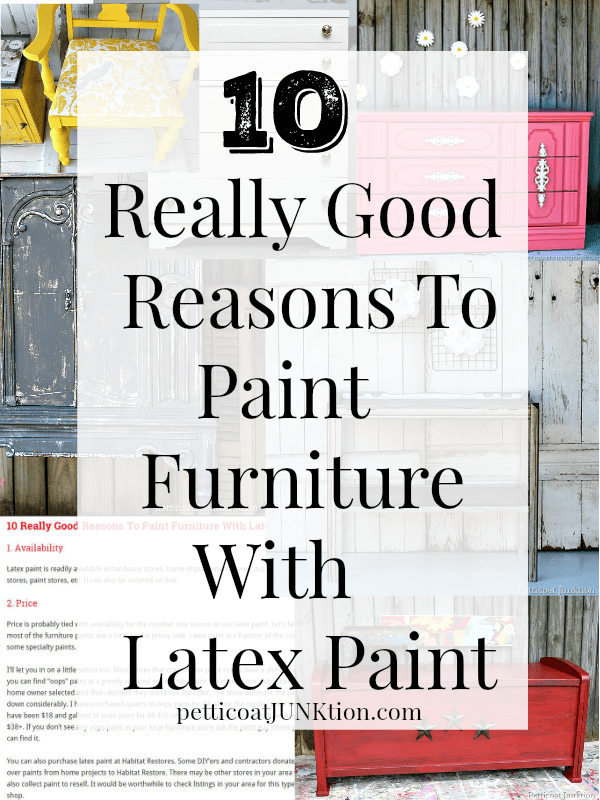 This post is about why I use latex paint for many of my furniture makeovers and why you should consider latex paint too. Latex paint is readily available at hardware stores, home improvement stores, department stores, paint stores, etc. It can also be ordered on line. Price is probably tied with availability for the number one reason to use latex paint. Let’s face it, most of the furniture paints are a little on the pricey side. Latex paint is a fraction of the cost of some specialty paints. I’ll let you in on a little secret too. Most stores that custom mix paint colors have a shelf where you can find “oops” paint at a greatly reduced price. Oops paint is a custom mix color that a home owner selected and then decided they didn’t like the color. The store will mark the paint down considerably. I have purchased quarts of oops paint for $4 where the regular price would have been $18 and gallons of oops paint for $8-$10 where the regular price would have been $38+. If you don’t see any oops paint at your local hardware store ask the paint guy where you can find it. You can also purchase latex paint at Habitat Restores. Some DIY’ers and contractors donate left over paints from home projects to Habitat Restore. There may be other stores in your area that also collect paint to resell. It would be worthwhile to check listings in your area for this type of shop. There are endless displays of paint color chips in the stores. You can also get a paint deck from the manufacturer for a price. There are literally thousands and thousands of paint colors to choose from. Latex paint comes in a variety of sheens. The following sheens are usually available from the paint manufacturer; Matte/Flat, Eggshell, Satin, Semi-Gloss, Gloss, Hi-Gloss. At this time my favorite sheen for furniture is Flat (Matte depending on the manufacturer) and a close second is Eggshell. I also like Hi-Gloss for the retro-modern look that’s trending now. Paint & Primer combination paint is a norm now. For most projects there is no need to buy an additional primer product. Latex paint doesn’t require an additional top-coat either. Win-Win! As a rule, for most projects a top-coat is not needed over latex paint. If I were painting a dining room table I would use a sealer or top-coat over any paint type. If you do need to seal or wax over latex paint just about any product is compatible. Not so with most furniture specialty paints. When buying latex paint stick with top brands and manufacturers. Paint quality and durability has been steadily getting better and better over the last few years. I have used a number of paint brands that cover in one coat! It all depends on the color you are using and what color or stained finish you are covering. The best thing about latex paint is the ability to have the color of your dreams. Take in a favorite blanket, decorator pillow, rug, fabric, you name it,and the paint guy can match the color to a tee or pretty darn close. I love to combine my own colors at home until I come up with the perfect color for a project. For example, I mixed a fabulous red from different latex colors in my stash. I liked it so well I brushed some on a paint stirrer and had Home Depot color match the paint for me. It’s called Junktion Red! 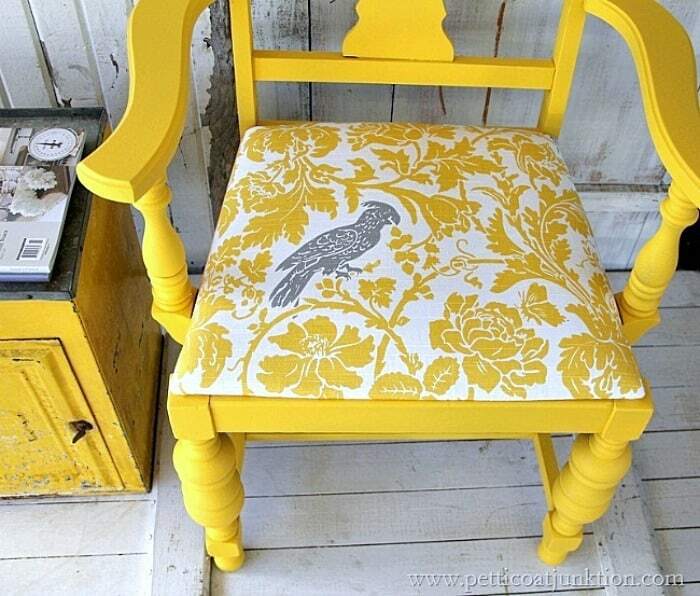 Latex paint can be distressed, antiqued, aged, white-washed, glazed, crackled, stenciled, decoupaged over, etc. You name it, I haven’t found a technique I couldn’t use on latex painted furniture. Latex paint can be used in a paint sprayer. I often use it in my HomeRight Finish Max Sprayer. Foam brushes, bristle brushes, and rollers can be used to apply latex paint. Buy the latex paint of your choice, bring it home, shake or stir, and paint. There is no mixing of powders or painting with lumpy paint. Disclaimer: My opinions are based on my experience using latex paints. I am not a professional contractor or paint expert. Now you know why I paint furniture using latex paint! The following furniture makeovers feature latex paint. To see the complete makeover with paint information and more photos just click the photo or the link below it. If you have any questions or observations on latex paint there is a comment section below. White paint is so classy. 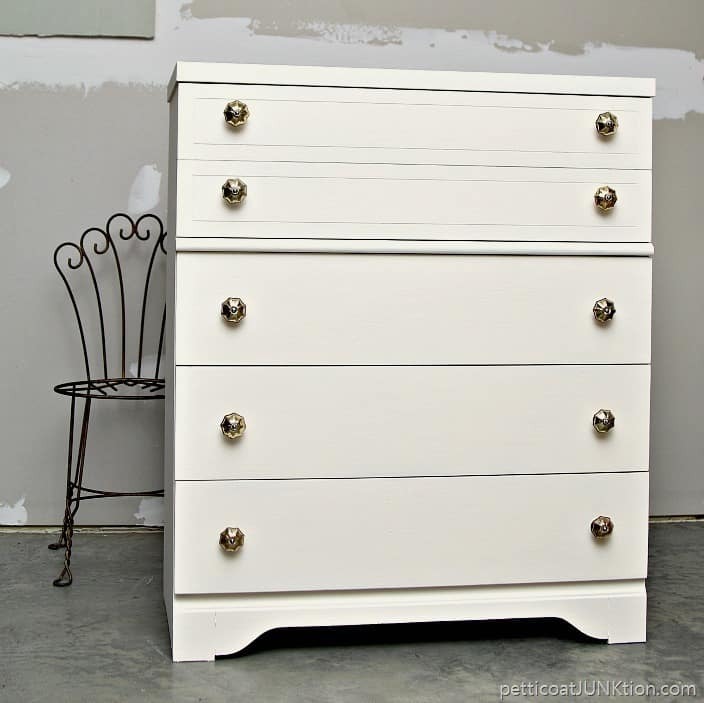 Paint a chest of drawers for your bedroom or a stunning piece for your foyer. Did you know there is an endless number of white paint colors? Just go to your local hardware store and check it out. Metallic paint is one of my favorites. You can just let it shine or give it an aged or antiqued look by applying a toner or dark wax. The table above was dark and drab. I applied one coat of primer tinted gray (my favorite is Glidden Gripper), two coats of metallic silver paint, and toner to give the paint depth. Do you have any latex paint around the house? Maybe some leftover from a house painting project. 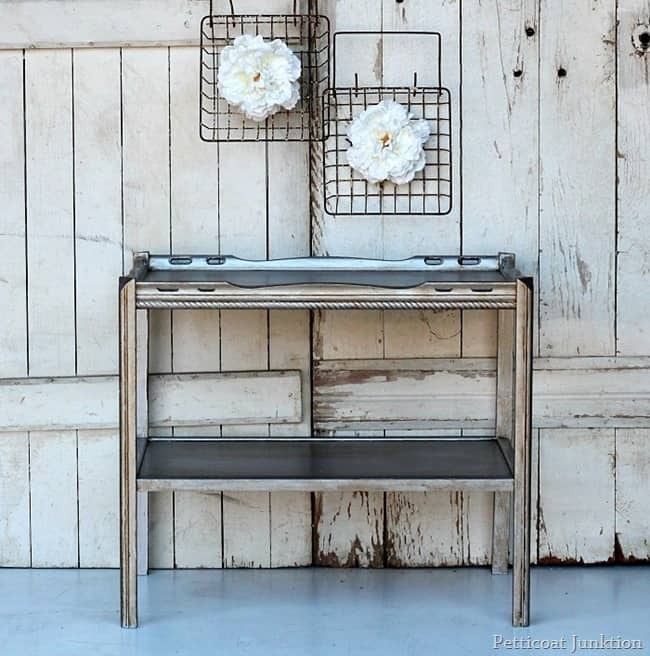 Maybe you have a piece of furniture that needs a little love. Go for it! I like the color selection of latex paint although most times I do make it into DIY chalk paint. I have also used it on furniture pieces without adding anything to it and it holds up very well. Saw this link from “DIY like a boss” and I had to click! Finally some truth out there!!!! I have painted a ton over the years and like you, I love all paint types but the “chalk is the only way” band wagon drives me a bit crazy. Nothing wrong with it but yes you can create a jaw dropping amazing paint finish with good old house paint! And the myth that is wont last isn’t true either. I have a beutiful piece sitting in my entry that my grandfather painted with good old house paint 40 years ago! Good luck with your article. People get pretty defensive of their chalk paint ? But seriously folks, house paint people, it is just as good. I completely agree with you. I just tried chalk paint and nope, I’m a latex girl forever. Thank you for posting this. I have an old dresser that I want to paint a darker shade of the room’s wall color, and I was worried that the latex might not go on well or hold up. After reading your post, I’m going to try it! Your furniture example are beautiful. Thank you. Let me know how your furniture project goes! Great post I haven’t thought of using just latex for furniture. thanks for the tips! Thanks for linking up to Merry Monday! Sharing on Pinterst! Have a great week! Great tips on latex! Loved it, you’re right it is pricey for some of those brand name chalk paints and I am not a wax person. It is too high maintenance. I did try a cheap chalk paint from a local craft store to paint my kitchen table and it turned out pretty good with a coat of poly over it, but some other projects I rely on latex and the usual sprays for outdoors. I just found your blog and love it! My question…I have a dining room table that I painted with chalk paint (ASCP). A family member put waxed paper on it and poured hot popcorn out. Unfortunately, it melted the wax and now the table looks terrible. Do you know if I can use latex over the chalk paint? I remember wanting to paint a furniture piece in 2004 and asked the paint store people how to get that rubbed off paint look (now known as distressed!) and they had no idea. Anyway, I ended up just painting it with latex and it has held up beautifully! Thank you for the great post! I haven’t painted over chalk paint with latex paint but I wouldn’t think it would be a problem. I would use a good primer first then the latex paint. So glad you found the blog and thanks for the kind words! It is great hearing that you can use latex paint without sanding the piece first. I have been using chalk paint only for that reason. It always seems to chip off on pieces used everyday. Could I use the dark wax or clear wax that is used for chalk paint on latex paint. I’m with ya! Love latex paint, and I will add that those three dollar samples changed my life!! I just painted an entire twin bed frame for three dollars in paint! I love the durability of latex; I love how when you distress it the sheen wears down, adding another layer of color…it gives depth without added work or treatments. I have used chalk paints and enjoy them, but it is so nice having a a hard finish all in one (and much more cost-effective)! I’m lazy, I guess! What about painting a coffee table? Will latex work with this as well? What about potential “rings” from liquid markings & surface scratches that will occur due to excessive use? 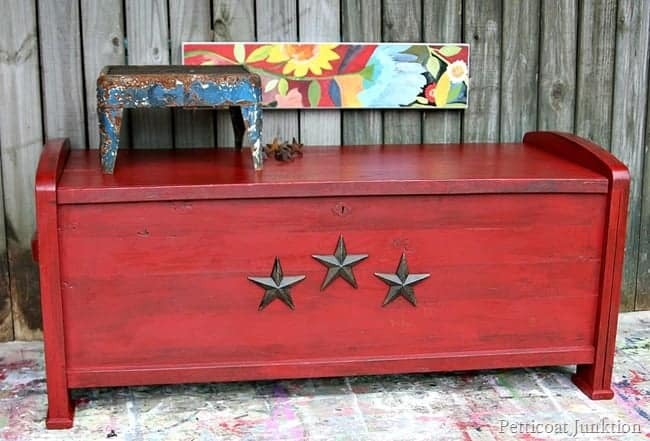 Love the cedar chest! One question about the wax – does it need to be reapplied every so often? I am thinking about using this technique on some dining room chairs. Thanks for inspiring us. It may need to be reapplied every 6 months or yearly. It’s not something that has to be done very often at all…..maybe just once. Thanks for the comment. I love that chest too! love your web site . 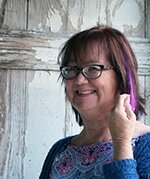 Kathy… the stereo cabinet is gorgeous! How did you distress it with latex?? Are you talking about the gray cabinet Maureen? I just hand distressed it with sand paper. The paint is Benjamin Moore in a flat finish. I am somewhat new at the furniture painting and just couldnt get into the “chalk” paint. 1, the texture and 2. the outrageous expense. Plus all the extras, brushes, waxes, . I just use latex and so far havent had any trouble. However, can you suggest a paste wax that Shelley had mentioned in her post. BTW Thank you for this post, I thought I was just missing something with all this new paint phase, I guess Im not as behind as I thought, thanks for clearing that up. Kim, I’m not sure what Shelley uses but I like Howard’s Wax and you can get it in neutral or colors like Golden Oak. If you click on the photo of the red cedar chest you can see the info on using wax to antique or age furniture. You’re not behind at all. I say use what you like! Thank you Nancy. As I said in my disclaimer I am not a professional. I will agree with you. I think that oil primer and oil enamel are probably better than latex but I hate working with oil. I agree with everything you said Shelley! Be still my beating heart! I am in total agreement and thought I was the only one who used latex and I also thought I was the only one who felt this about the chalk craze. I have used it, but love everything about good ole latex? I’ve been using Latex to paint funiture for years. But I do have a caveat – when painting case furniture (bureaux, buffets, etc.) on top of which you may rest items that will not move (clocks, vases, jewelry boxes, etc.) put at least coat of wax on top to prevent items from sticking – especially rubber feet which can leave ugly black marks, or pull the paint off the top. I have also had good results with making my own chalk paint out of latex, plaster of paris and water. HOORAY! Glad you posted this. Do you have to sand it first? I have been painting furniture for 20+ years and have always used latex paint. I buy the paint that has the primer already mixed in and I also buy the oops paint that is so affordable. 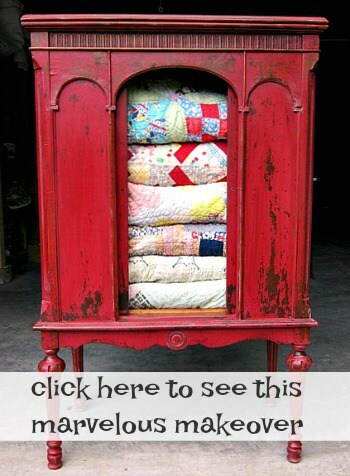 Like you said, it can be distressed, aged, antiqued etc; it is so versatile, and the colors are endless. Latex is smooth and creamy, I love how it goes on and I am always amazed with the results. I never fell for the chalk paint craze. 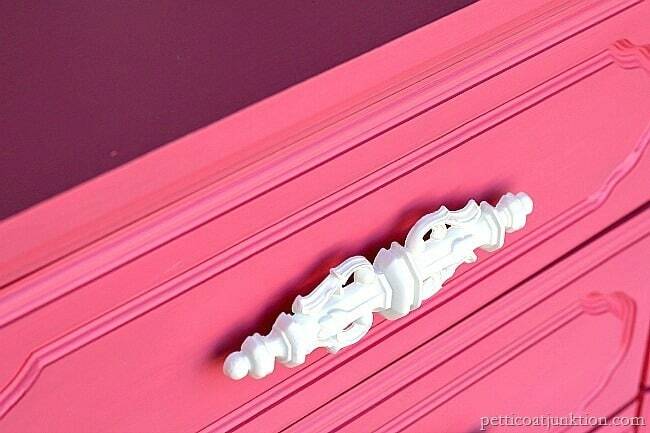 I personally don’t think painted furniture will ever go out of style, contrary to what some have said. In my opinion, nearly everything looks better painted! But do you have to seal latex? how do you keep it from peeling? thanks. Hi Cindy, Have you used latex paint and had a problem with it peeling? If so, can you tell me the circumstances; what type furniture, what brand of paint, etc.